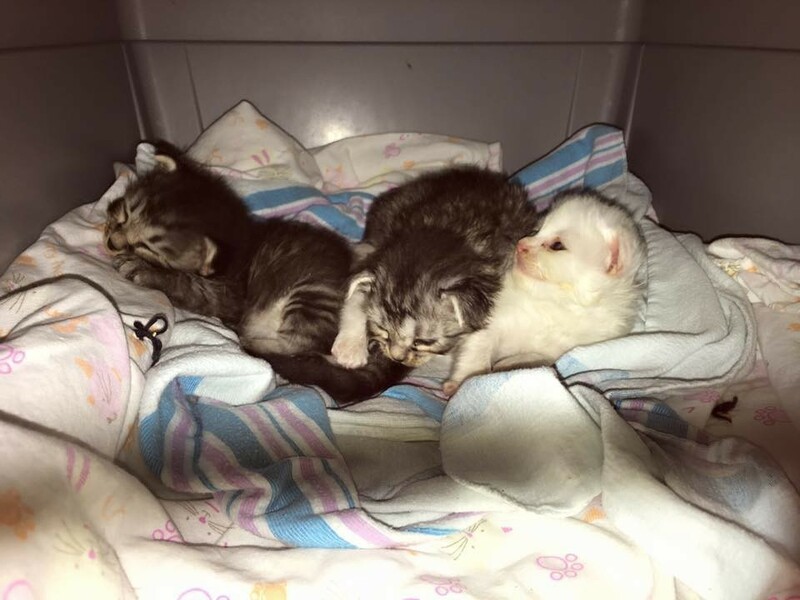 A litter of three kittens were found huddling up together. The two tabbies were wrapped around their tiny trembling sister, trying to keep her safe. 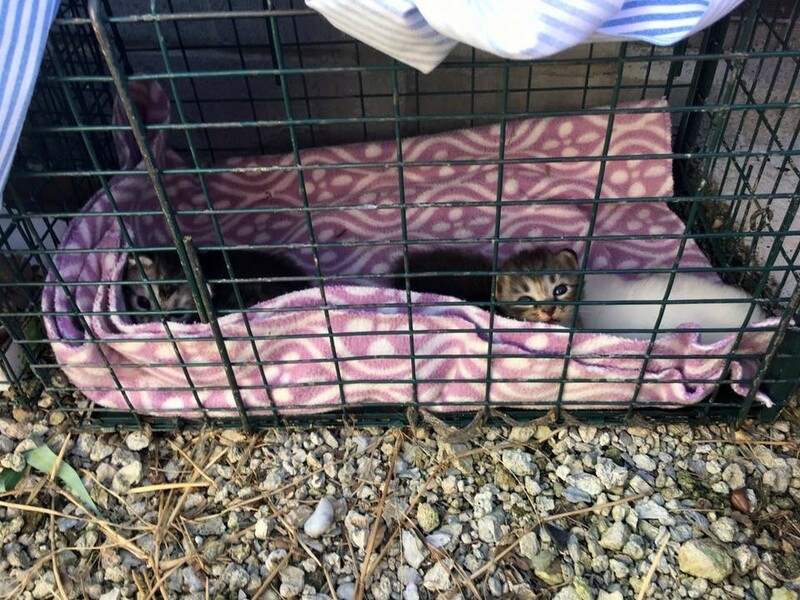 It was a hot summer day as Megan Sorbara went out for some ice-cream, she received a message about three tiny kittens in need of help. 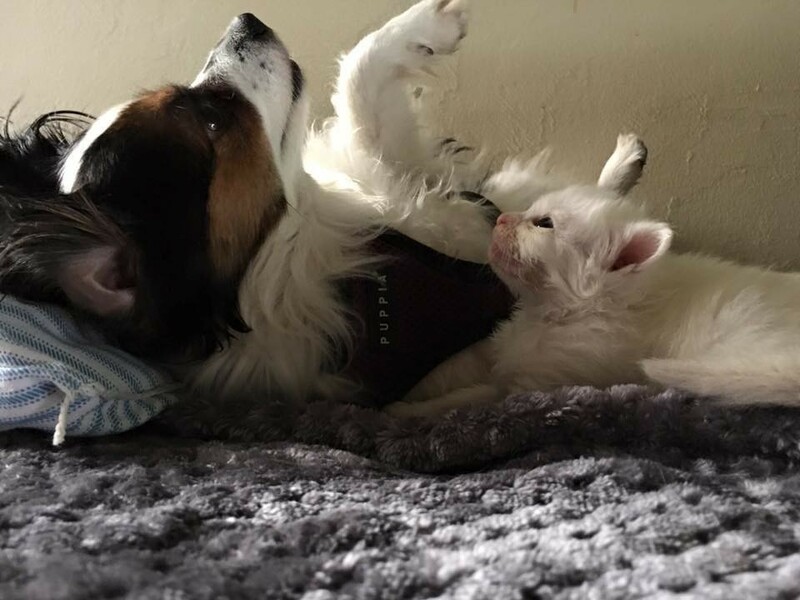 As soon as she saw the kittens, she knew something wasn't right. 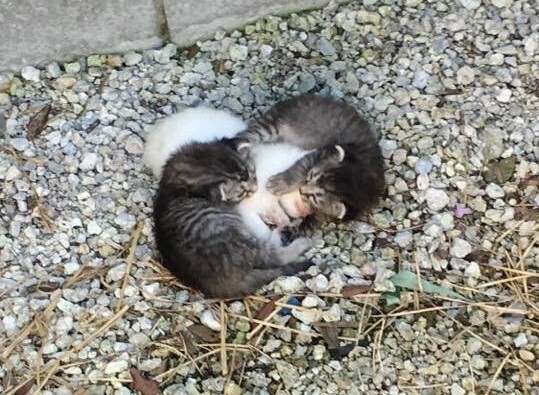 Two tabby kittens wrapped around their tiny sibling, who was trembling in their embrace. 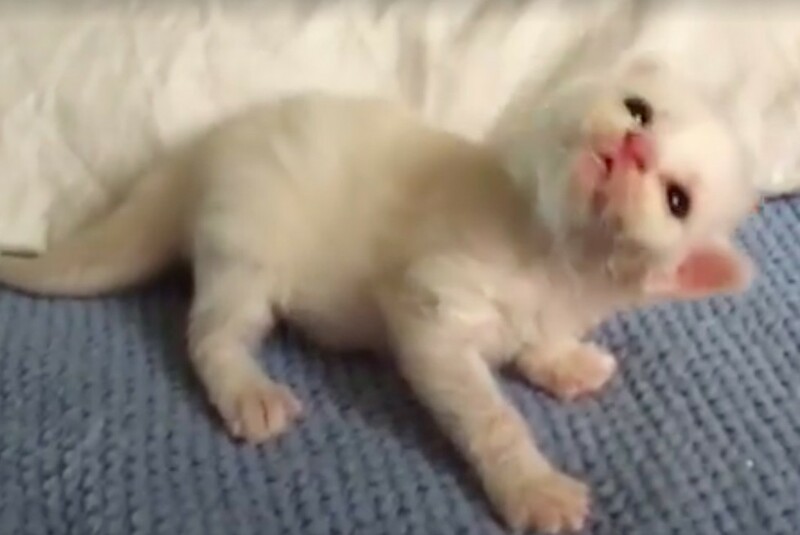 "I felt like they were protecting her,"
Soon she realized that the little white kitten could barely walk on her own and her siblings were doing everything they could to keep her warm and comforted. 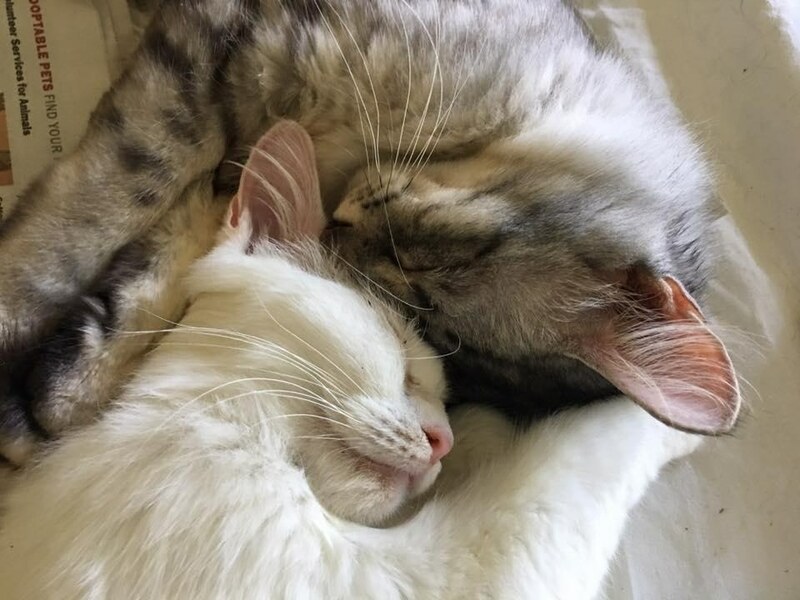 She took the kittens back to Naples Cat Alliance, so they could get them the care they needed, especially for the little white kitten who seemed to have balance issues. "She has a very pronounced head tilt to the left, but she has a very healthy appetite and manages to roll to where she wants to go." They named the two tabbies Praline and Pistachio, and their little sister Coconut. 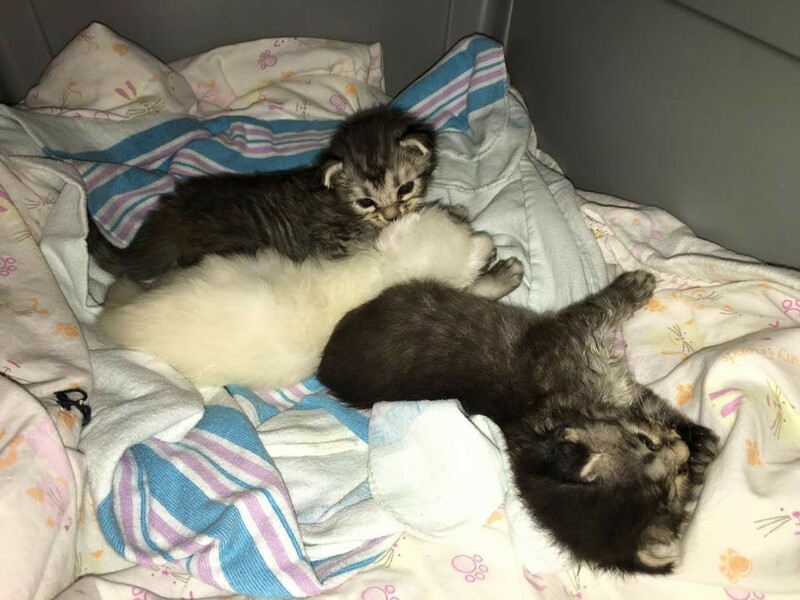 Sorbara is bottle feeding the babies around the clock, and the two tabbies just keep wrapped around their sister, purring away. 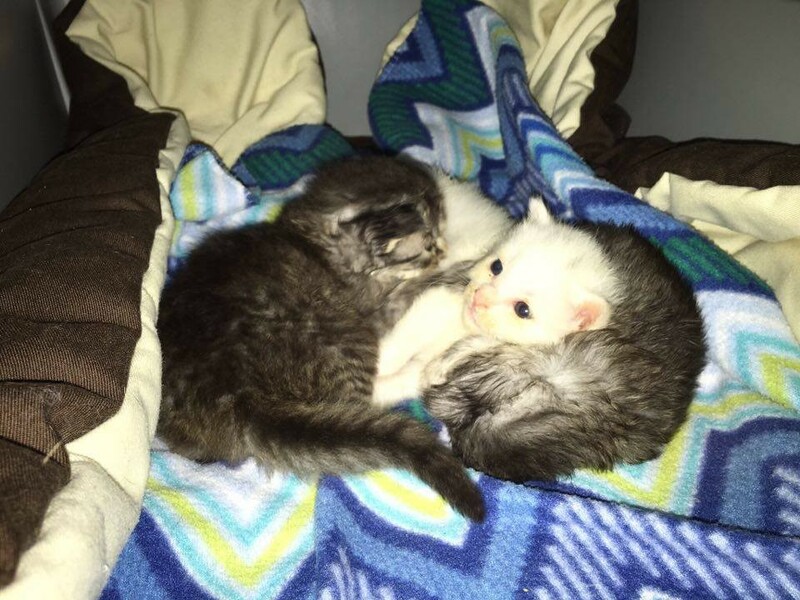 They are working on finding the mama cat and getting them reunited. "We have been back every night trying to get mom but she won't go in the trap,"
"We have trapped at this location before and she has witnessed everyone else going in, so she is what we call trap shy." 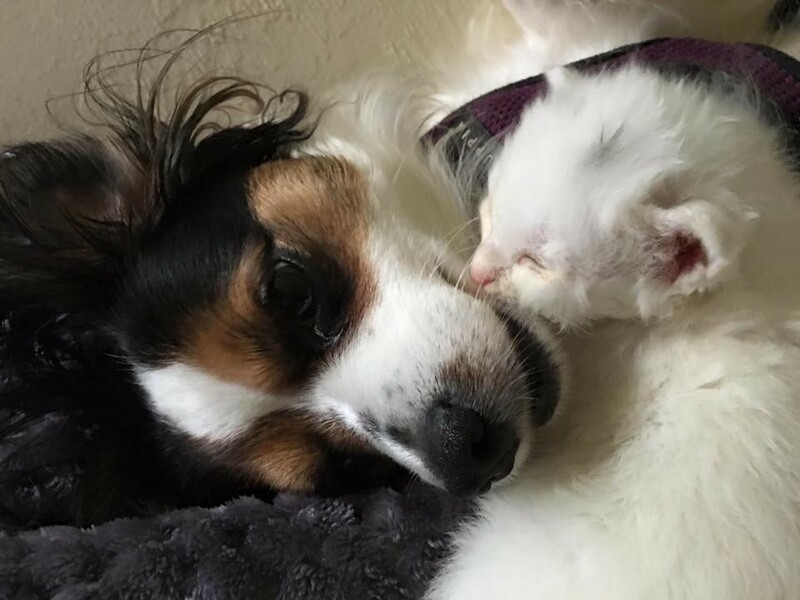 Bitsy, Sorbara's dog and a huge cat lover, has taken to the little kittens and is volunteering to be their foster mom. With Bitsy's help, Coconut is getting better every day. "She is getting stronger and is able to hold her head up straighter than even yesterday." She got a lot more strength and even returned a few kisses and snuggles to her canine caregiver. Bitsy is encouraging her to climb, stretch and move around. 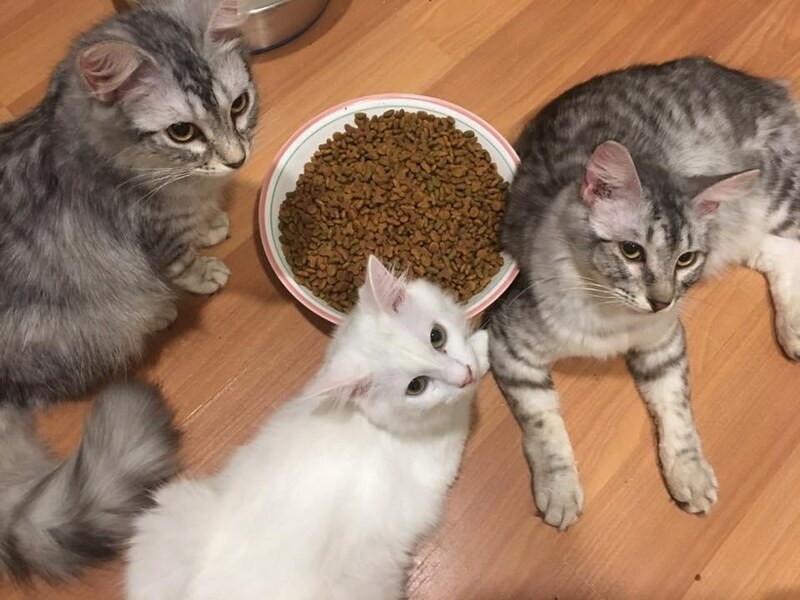 While Sorbara is caring for the babies, she and her team are continuing their missions to find the mama so they can reunite in a safe place with good food, great care and a chance for a forever loving home. "Even now they wrap around Coconut." It's the cutest thing. 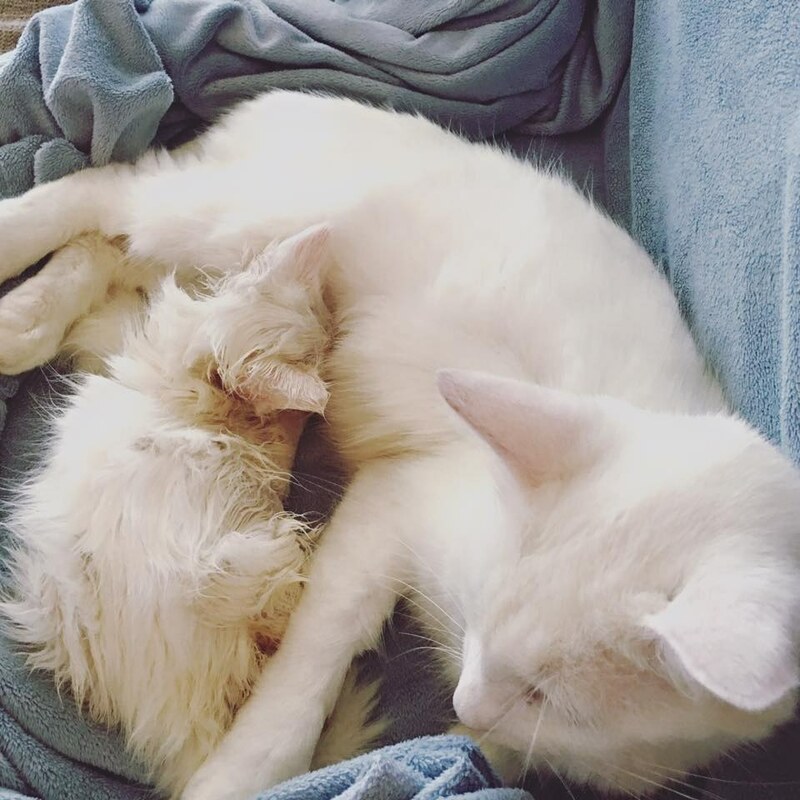 Coconut snuggling with her mama Vanilla Bean. Coconut has fully recovered and is more playful than ever. 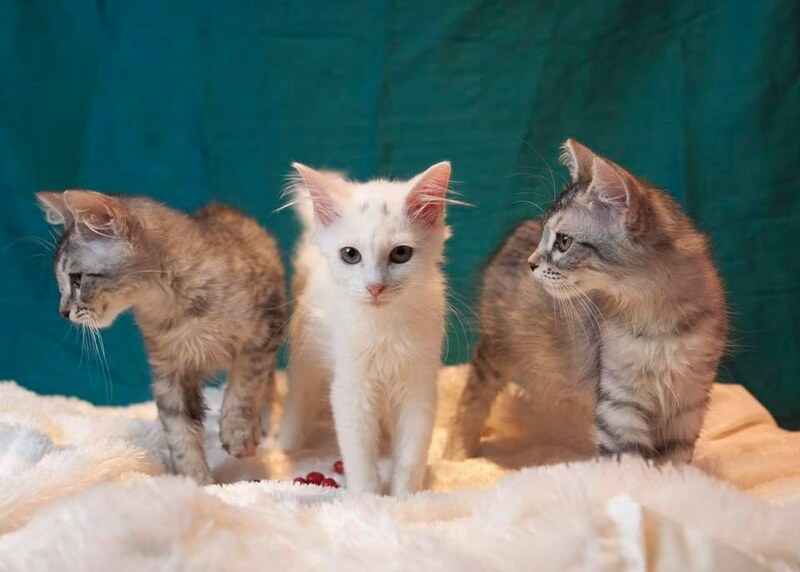 Sorbara adopted the three siblings, Praline, Coconut and Pistachio, together. They have all grown up! Coconut cuddling with her sibling Pistachio.